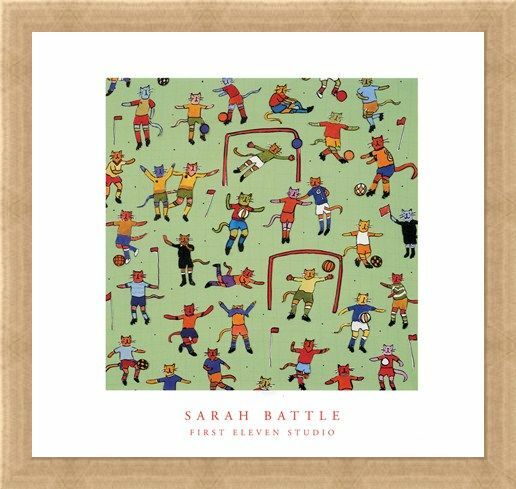 Art Print: Known for her ability to create wonderful collages and prints featuring animals and birds, Sarah Battle's designs are always full of fun and entertainment. 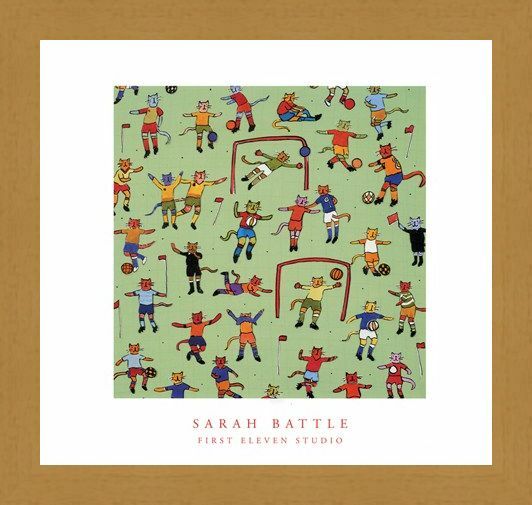 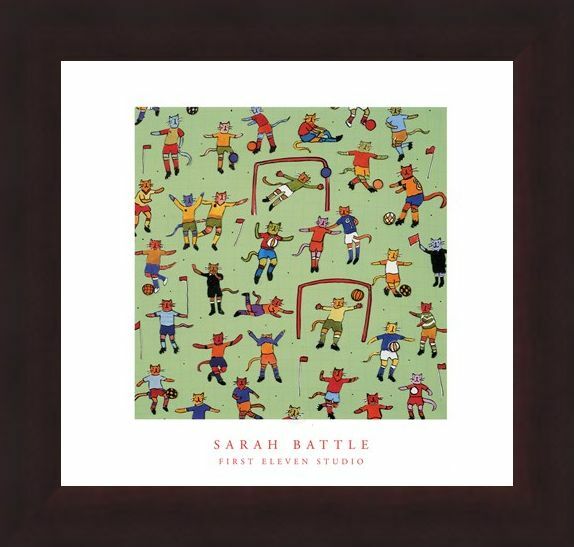 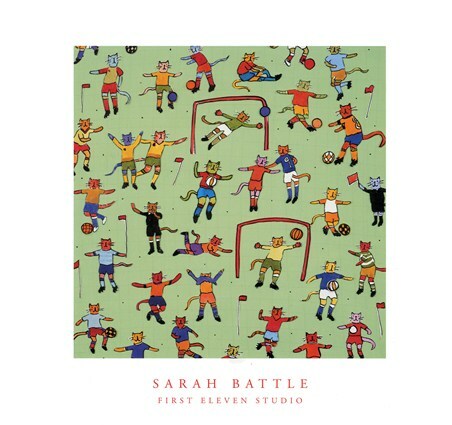 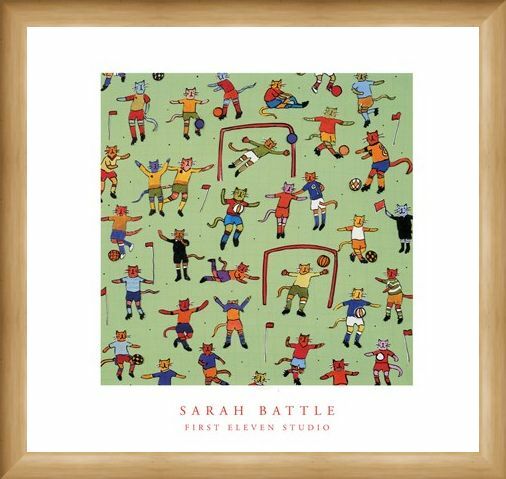 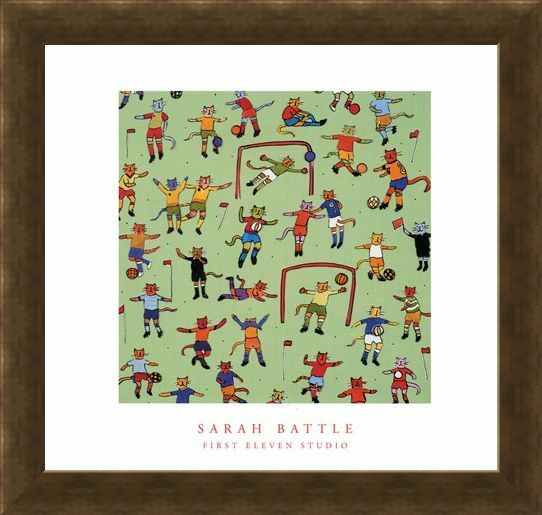 The inspiration for this print may well be the fact that Sarah is a cat owner as here we have cats playing football, dressed up in brightly coloured kit. Some are kicking footballs across the field, a couple of others are defending their goals and there are also some lines-cats and referees amongst them too. 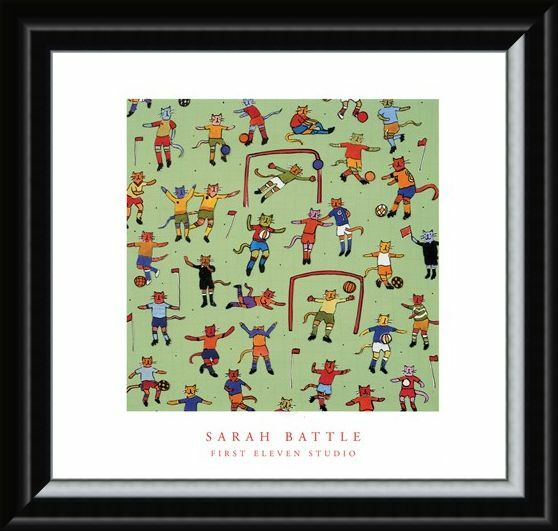 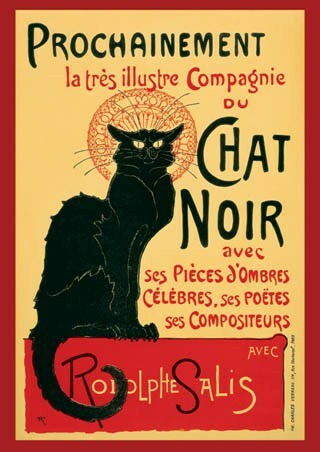 This charming vibrant art print would be perfect to hang up in a child's bedroom, and is sure to keep them entertained as they scan over all those different cats on the pitch. 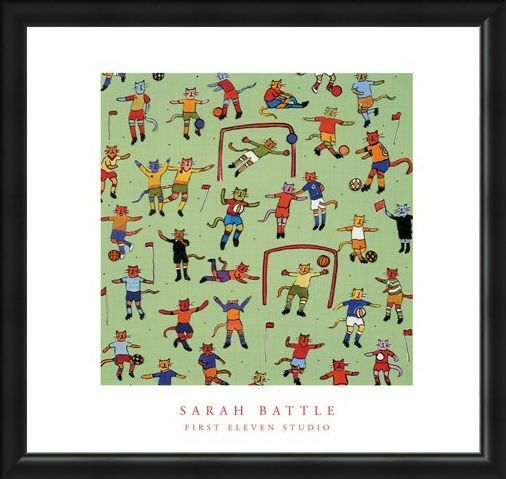 High quality, framed Football Cats, Sarah Battle print with a bespoke frame by our custom framing service.